Ever lady would dream to have a smooth, healthy and scar free looking skin... However as human as it may seem, we often hurt ourselves due to our clumsy actions and that's the reason of most scaring. 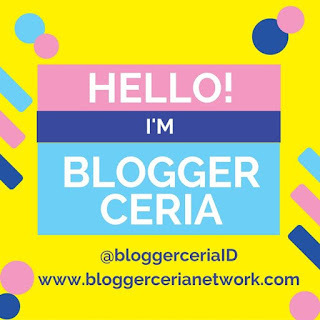 Apparently last week I was invited by Beauty Journal to attend their evening soiree with Bio Oil at Decanter, Kuningan. 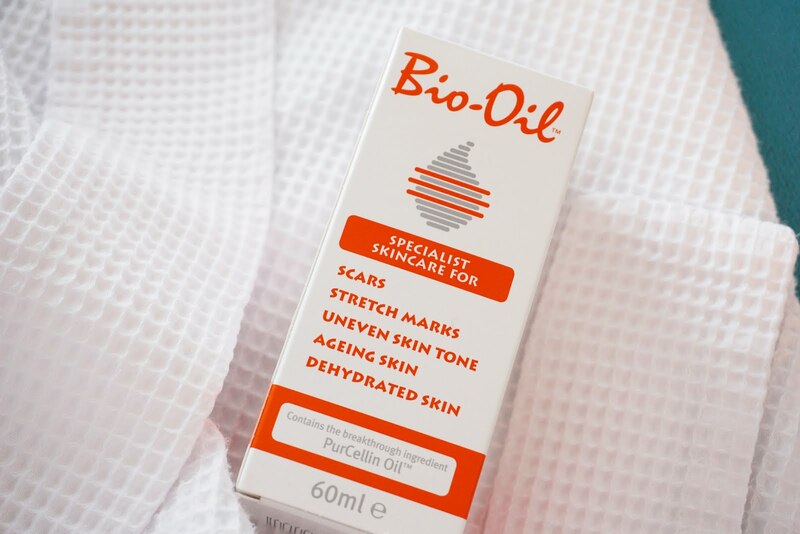 Bio Oil is a brand that I've been keeping my eyes on because of its benefit that it will help to make the skin looks healthy and help to even out uneven skin tone, scars and stretch marks. 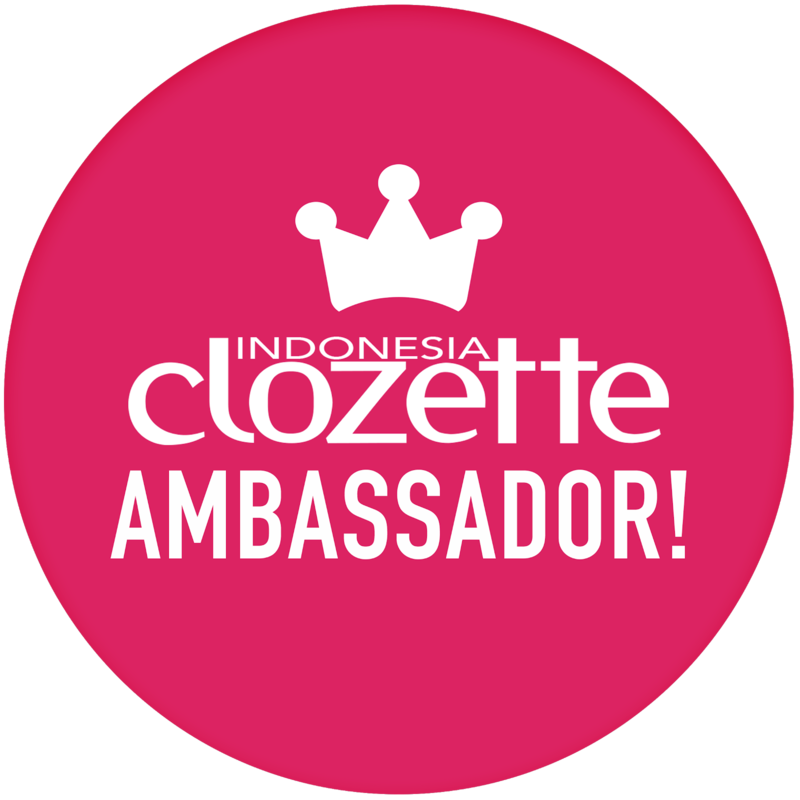 That's why when I received the invitation I was so thrilled to finally try out this popular multi function oil. Bio is actually a product from South Africa and this is most probably something new that not many people notice. During the evening soiree we chatted and talked about self confidence and shared about our own perspective of beauty and self- confidence. Even though the topic might seem heavy but it was fun to be able to hear out everyone's thought! Nevertheless never let anyone dim your glow cause now its time to glow with Bio Oil. The representative of Bio oil shared about the various uses of bio oil which makes me think that how could only one product can be so effective and useful for so many aspects of our body. 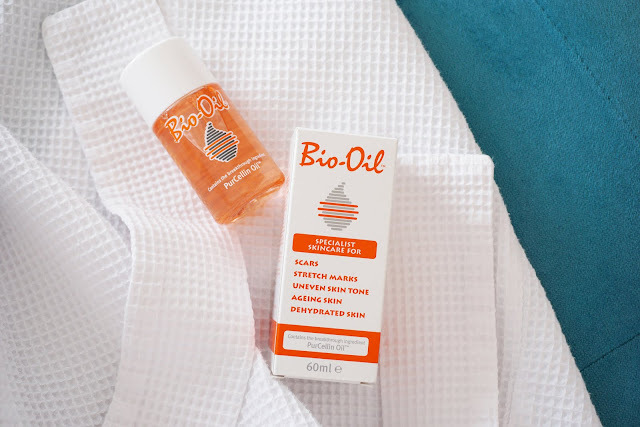 Bio Oil is made from all natural ingredients making it safe to be used for kids more than 2 years old or even pregnant woman in her early second trimester. Below are a glimpse of the event and I'll also be sharing my personal review after trying Bio Oil myself. So make sure to read it till the end. Now moving on to the review, to be honest I really had a high expectation on this multi purpose oil since I heard and read a lot of positive feedback about this oil. However as someone who isn't fond of oil, incorporating oil into my skin care routine may seem daunting even though its only for my body area. 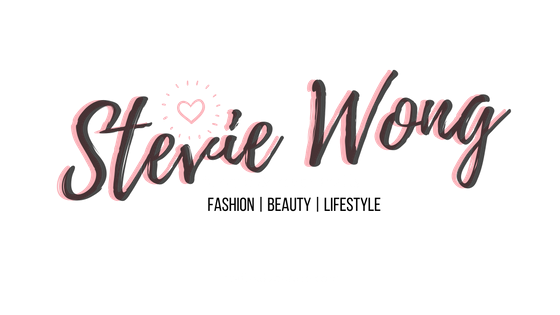 As you may have known I do have very sensitive skin not only on my face but my body as well that's why I tend to have rashes and even scratch marks ( which turns to look like stretch marks) after prolonged scratching. Now my skin condition has calmed down a lot compared to when I was younger but the scars & scratch marks are still there and I really want to try to use this oil to fade them away. Before when I was younger I don't really pay much attention to skin care and without knowing scratching has leaves marks of scars on my body which now left me regretting it. So a little tip for you guys if you have sensitive skin or you're skin is easily rashes don't pick on it by scratching cause it won't stop the problem but cause even more like scratch marks:'( which is totally uncool and is very difficult to get rid off but I hope this oil will do its wonders. Well I've only tried using this for a good one week and I can't say much yet but all I can say is after using the oil it leaves my skin feeling super smooth and not greasy or sticky at all. I'm actually in the process of discovering whether this oil will help me get my skin back into before all the scratch marks but since they've been so long so I think it may need a little longer to see the results cause this oil is actually said to be most effective for those new scars cause they'll immediately help to soothe and regenerate the skin making the skin even again. Normally it takes up to 3 months to see the results after daily use of twice a day, but for my skin now I still haven't seen my skin has even out more but they have become more smooth... The result on different people may differ based on the skin condition of each person. I personally love to use it after shower thats why I leave it at the bathroom and use it straight when I'm out of the shower before my lotion. Really hope I'll see positive results on my skin real soon. Although this oil is said to be better used on recent or new scars or stretch marks but I'll give my old scratch marks a try and if it does bring positive results I will definitely update you guys. Bio Oil itself is said to be able to heal scars, stretch marks, uneven skin tone, aging skin and dehydrated skin. It is a multi purpose dry oil which can be used for head to toe, hair and nails. This oil contains all natural ingredients like Calendula, Lavender, Rosemary, Chamomile, Vitamin A, Vitamin E, Purcellin Oil that will help the skin to regenerate. Hair: I would suggest you to use it on the tip end of your hair if you hair bleached hair because as you know bleached hair need more nutrition and care. Oil is essential to keep the hair looking smooth and healthy. If you have naturally dry or frizzy hair this oil can also help you. Put a little 2 or 3 drops of this oil at the back of your palm and then rub it evenly onto your hair. Body, Hands, Feet : It is suggested to use twice a day daily for minimum 3 months. Put a few drops ( I usually use two to three drops) then rubbing or massaging it slowly into the skin so that the oil soaks into the skin. Neck: It can also be used for the neck area and you can massage it upwards motion to give your neck a little lift as skin in the neck area tend to the the first skin on your face area to show early aging signs. Nails: Put a few drop on your hand and rub into your cuticle, this will help to nourish your nails and cuticle. leaving your nails healthy and hands smooth. Face: It is also said that this product is safe to be used on the face, but I still can't bring myself to put oil on my skin yet. I'm not ready to take the risk of incorporating oil into my daily skin care routine yet due to my sensitive and acne prone skin. However if you decide to incorporate oil into your skin it would be after you cleanse your face then apply a little and massage evenly onto your skin. 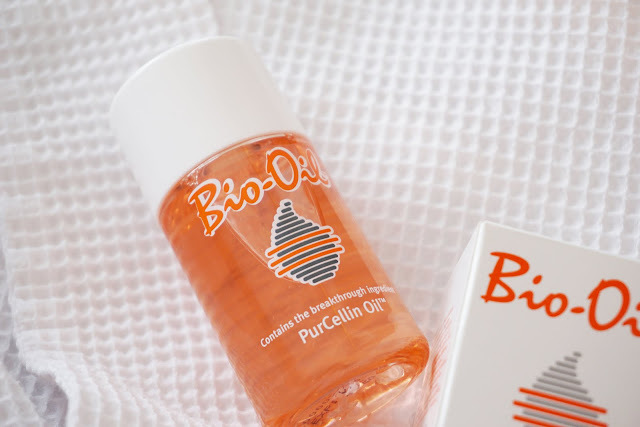 You can easily purchase Bio Oil from your nearest drug store or through Sociolla. 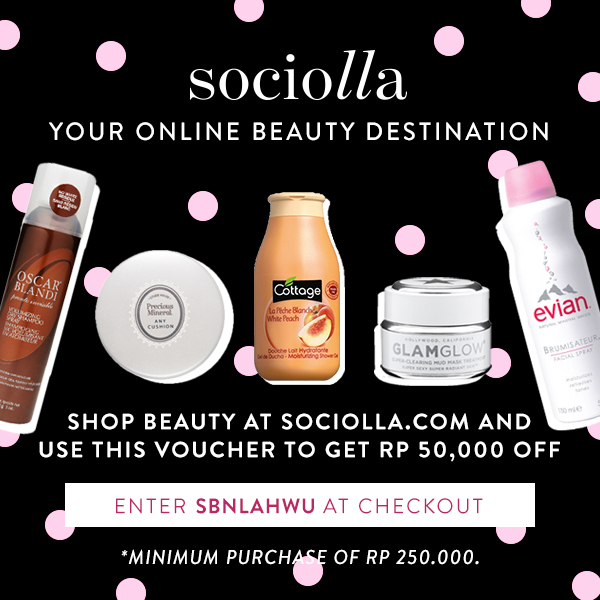 If you purchase through Sociolla make sure to use my code "SBNLAHWU" to get Rp 50.000 off your purchase with a minimum purchase of Rp. 250.000. Although it may be a bit pricey in terms of cost as a 60ml cost Rp120.000 and 125ml cost Rp 200.000. Although it may seem pricey but a little goes a long way! Thank you for reading, I'll see you on my next post soon. *Just a little side note that Bio Oil Indonesia don't have any official social media sites except for their Youtube Channel.